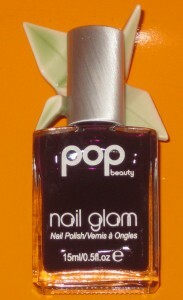 POP Beauty Purple Plum Nail Polish review and photos. POP Beauty Purple Plum Nail Glam. The formula is a medium consistence, yet highly pigmented. The price/amount ratio is on par with OPI, ESSIE, and other drugstore brands, yet the quality is equivalent to higher-end brands, if not better. 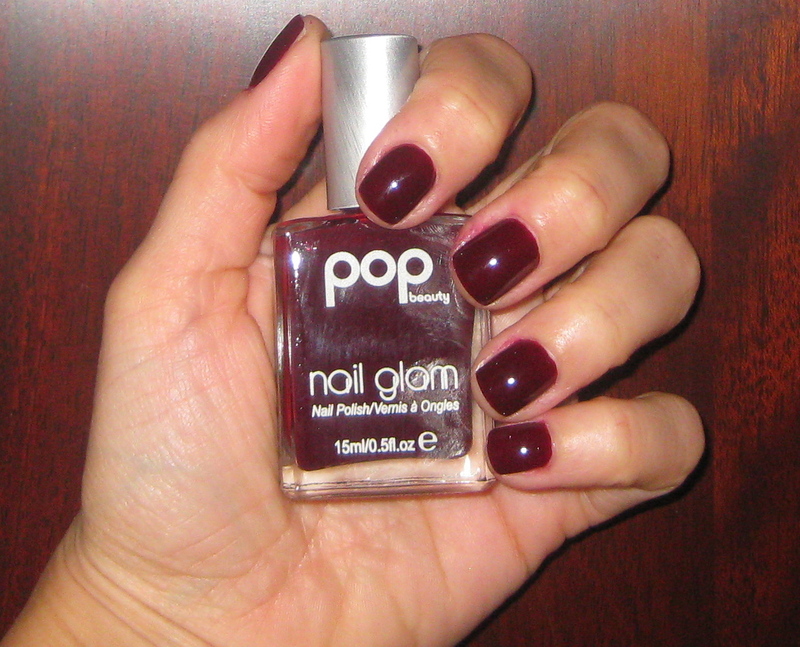 This polish is easily removable..It does not stain the nails or cuticles during removal. Opacity is reached in two coats. 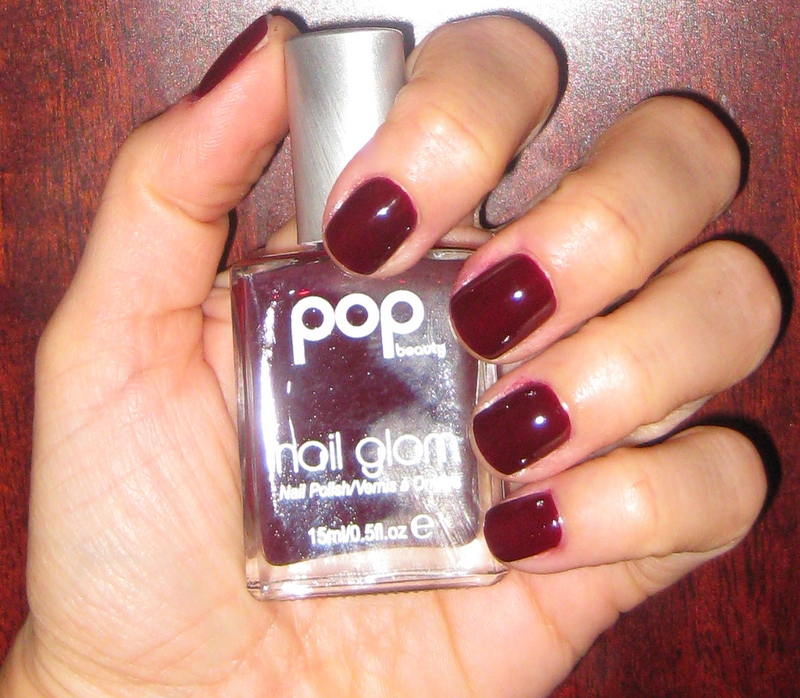 Each POP Beauty Nail Glam shade is non-occlusive so it won’t stain nails. Nail Glams also contain nylon which helps create a strengthening non-chip barrier which ensures that Nail Glams staying power is sensational! 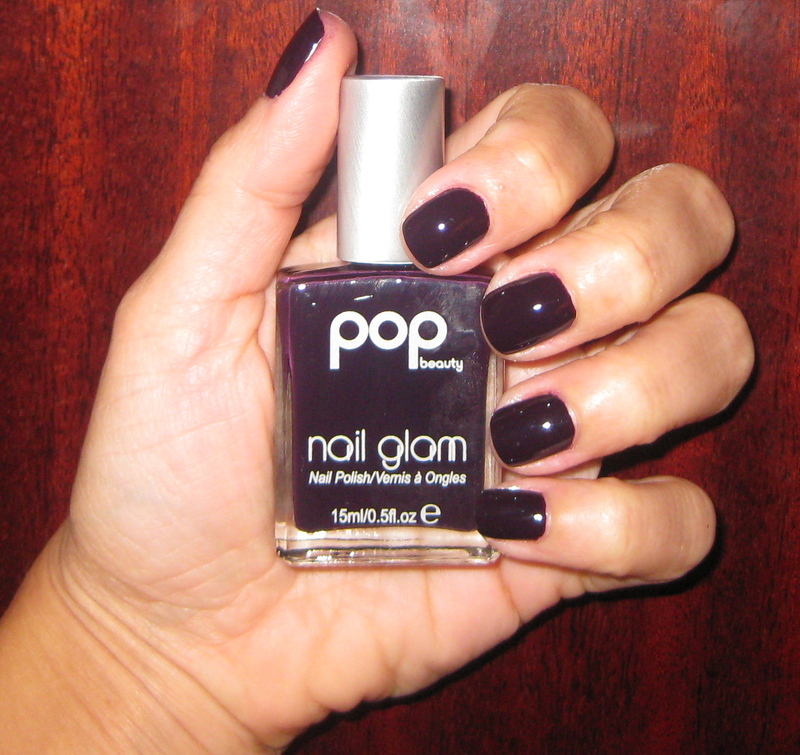 Purple Plum is a very dark aubergine color. 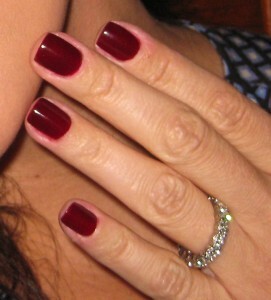 This color is so dark it resembles a black polish. 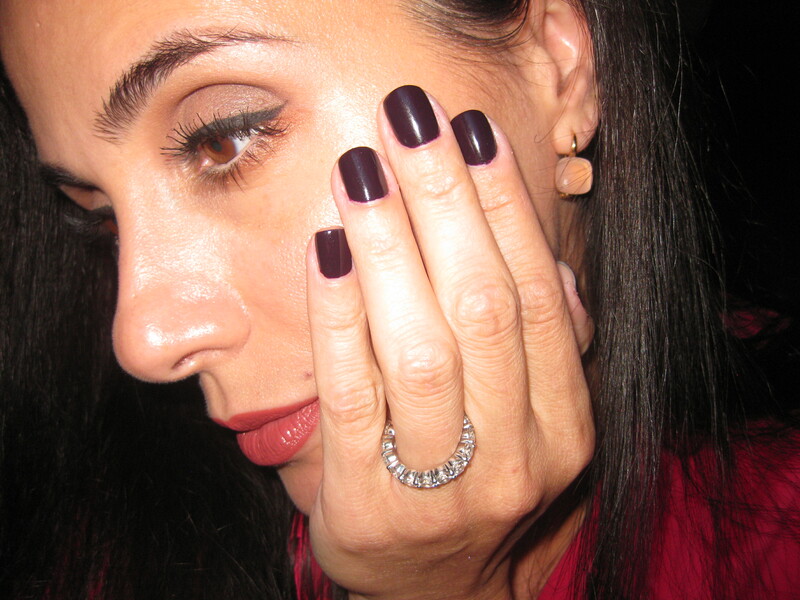 The purple tones come out ever so slightly in the sun and under fluorescent lighting. The longer handle does take some getting use to. POP Beauty Purple Plum Nail Glam.. POP Beauty is sold at Ulta (not the complete collection), Duane Reade Pharmacies, Dermstore.com, Zappos.com, and Beauty.com. 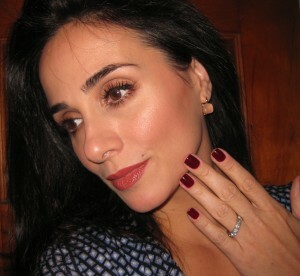 Makeup would tell you POP Beauty Nail Glam polishes are worth the investment. I would happily purchase more colors from this fantastic brand. There are some glitter polishes in POP’s line-up that would give Deborah Lippmann a run for her money. I may just have to go back to Duane Reade for some family essentials…wink, wink….we all know the real reason why I need to go back…until next time. Be well and stay safe.